BIOQUANT Life Science with the BIOQUANT SCAN Add-on supports the scanning, viewing, analysis, and sharing of large digital images created from glass tissue slides or welled plates. Freedom: Measure scans at any magnification, work anywhere you like, collaborate with colleagues world-wide. Security: Preserve samples against stain degradation and accidents. Accountability: See exactly what was measured and precisely what the section looked like when it was measured. BIOQUANT SCAN supports either your microscope with a microscope upgrade kits (Kit 3 or Kit 4), or the BIOIMAGER Scanning Microscope. Using the BIOQUANT BIOIMAGER microscopy scanner, you can change the objective lens, control the brightfield or excitation light source, move the stage, and capture images all from a unified software application. Using a scanning upgrade kit to your existing microscope, you can scan tissue sections or welled plates. BIOQUANT SCAN supports Kit 3 and Kit 4. In BIOQUANT LIFE SCIENCE, open very high resolution scans, up to 4 GB, into the Large Image Navigator. Use the Zoom buttons to zoom from 40x out to 1x. Use the Pan box to navigate the scan and pull images to measure into the Image window. All zoom levels automatically adjust to the correct micron calibration for measurement. You can trace the Specimen boundary at low power and measure Sampling Area with the scan zoomed all the way out. You can then zoom in and pan through the Specimen boundary measuring field to field cell count data at high magnification. This sequence is the same for measuring nerve cells within a sampling ara, and measuring muscle cells within a muscle fiber. 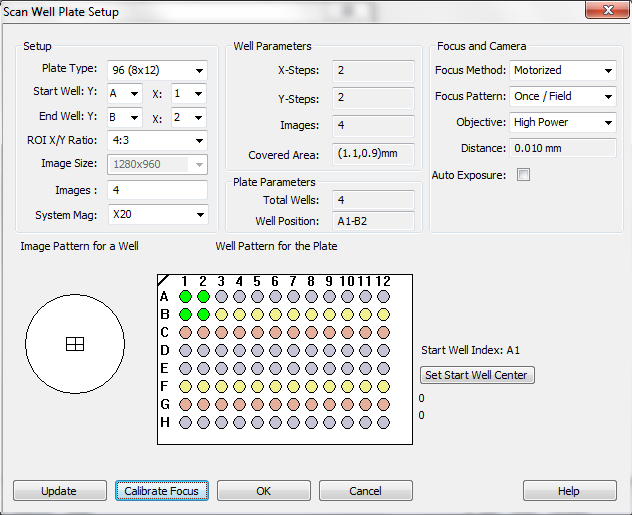 Save calibrated BIF (BIOQUANT Image Format) images for analysis in BIOQUANT LIFE SCIENCE. Save images in uncalibrated formats like BMP or TIF, or save images with measurement tracings to SVG format for digital supplements.